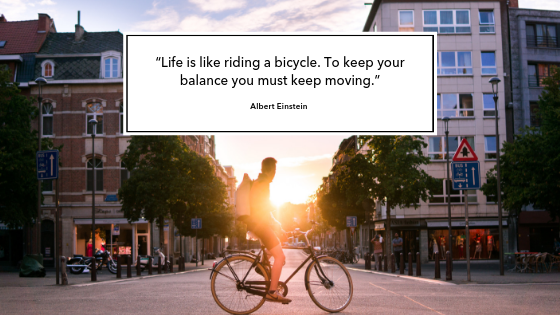 We’ve all read about trying to find a “work-life” balance. Visit any bookstore, on-line or brick and mortar and there are shelves devoted to this topic in the “Self-Help” section. I don’t know about you, but no matter how many books I read, they never seem to answer the question. Recently, I had an experience that gave me some insight into a possible solution. Here’s hoping it may be useful for you as well. Automobile Insurance continues to be the subject of lawsuits in New Jersey. Recently the State Supreme Court decided the case of Haines v Taft, which raises a red flag to which all NJ drivers should pay attention. By way of background, New Jersey is what is called a "no fault" state for auto insurance. This means that you have the RIGHT to have your reasonable and necessary medical bills paid by your own insurance company according to a fee schedule immediately after an accident, no matter who or what caused it; you do not have to wait to prove that someone was at fault. 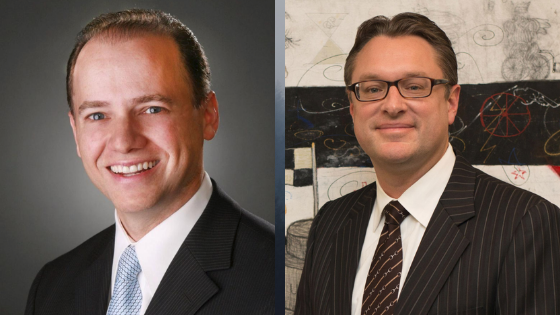 Congratulations to Partners Al Anthony and Karl Friedrichs, who were selected to the 2019 New Jersey Super Lawyers list. This is Al’s 13th year on the list and Karl’s 3rd year on the list. (Super Lawyers is a rating service of outstanding lawyers from more than 70 practice areas who have attained a high-degree of peer recognition and professional achievement. The selection process includes independent research, peer nominations and peer evaluations. – superlawyers.com). Out-of-state corporations do not like to face justice from Philadelphia juries. 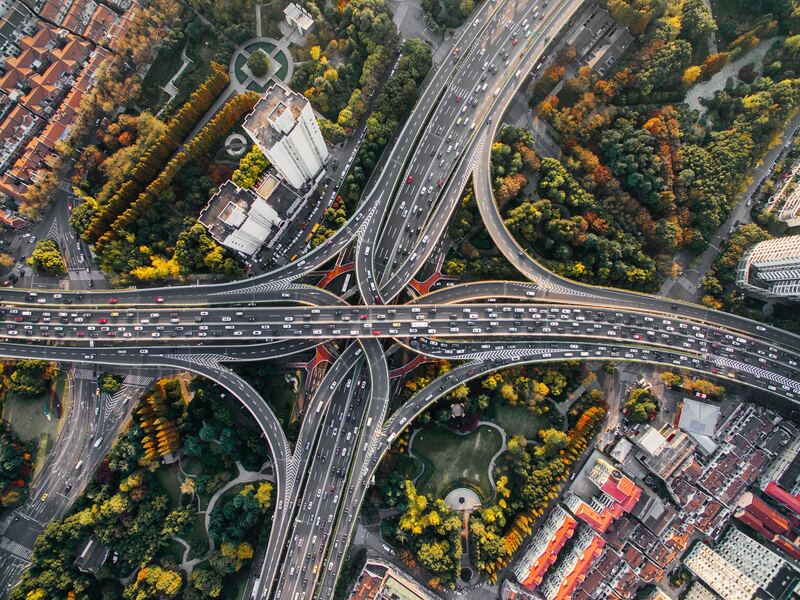 Here is the status of three ways to catch an out-of-state corporation through personal jurisdiction. The Superior Court has just issued an excellent precedential opinion granting a new trial to a plaintiff after the trial court refused to give an adverse inference charge on spoliation (destruction of evidence). 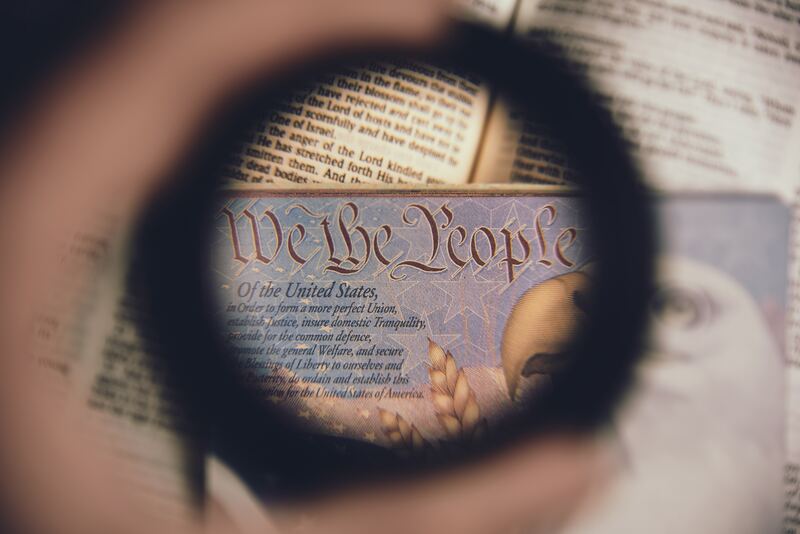 Marshall v. Brown’s IA, LLC, 2019 WL 1372399 (Pa. Super., March 27, 2019). 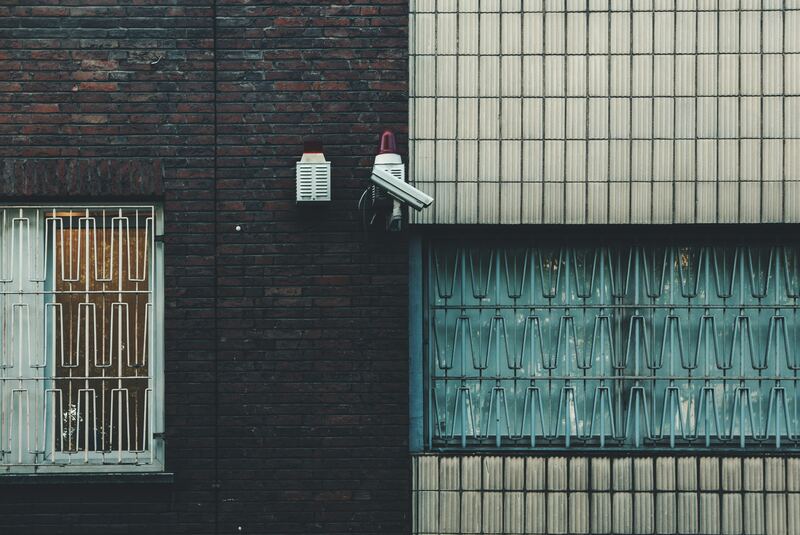 The opinion is not only very helpful on video surveillance in slip-and-fall cases, but it has comments that could be useful in any video surveillance case. 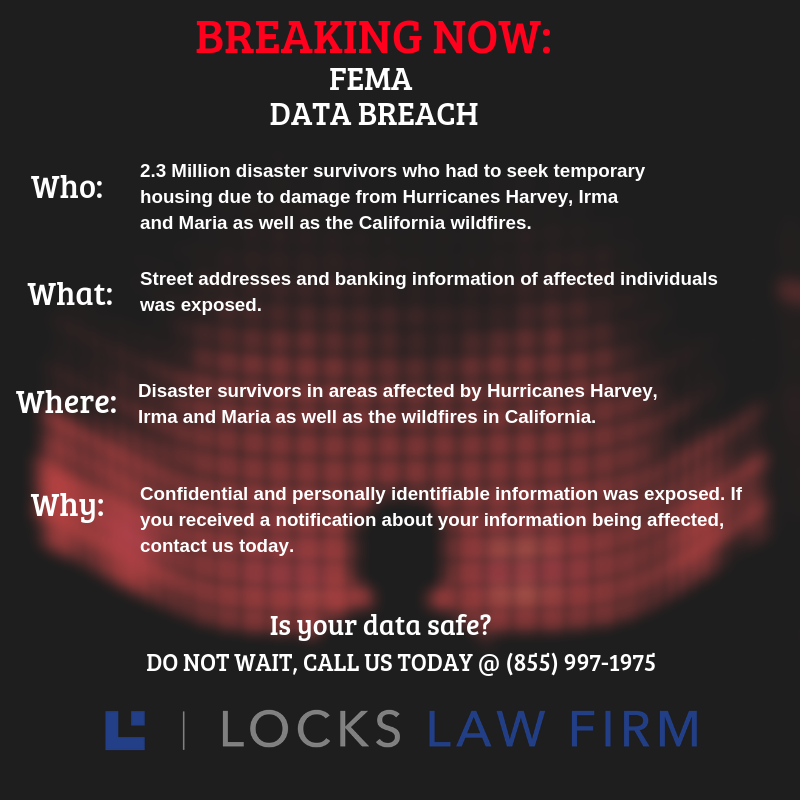 Data breaches of this type can have long term effects on your finances if not handled in a timely manner. To see if you've dined at an affected location, click here. 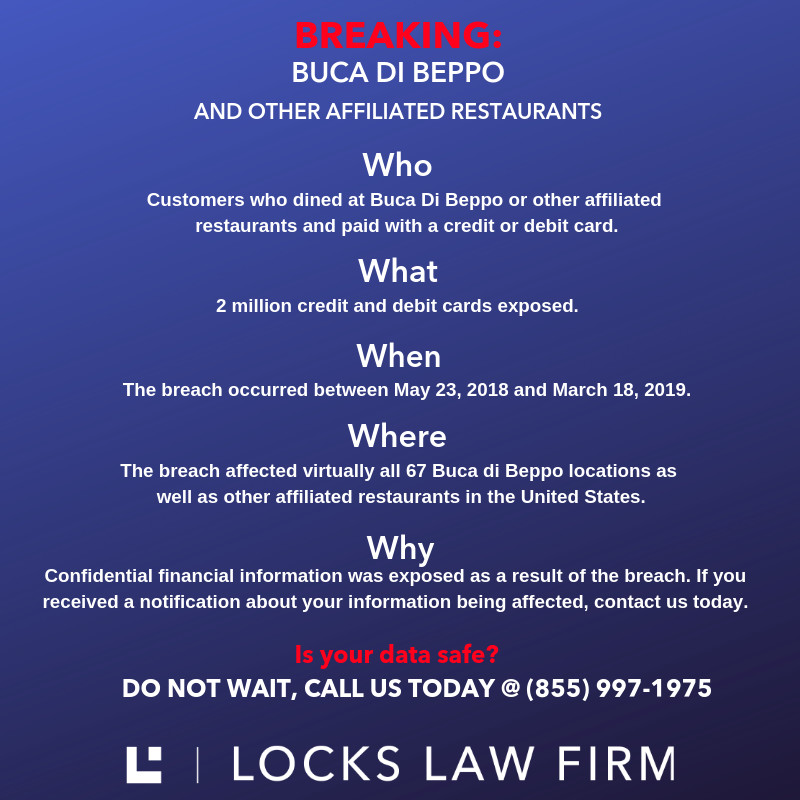 More information on the Buca Di Beppo data breach. 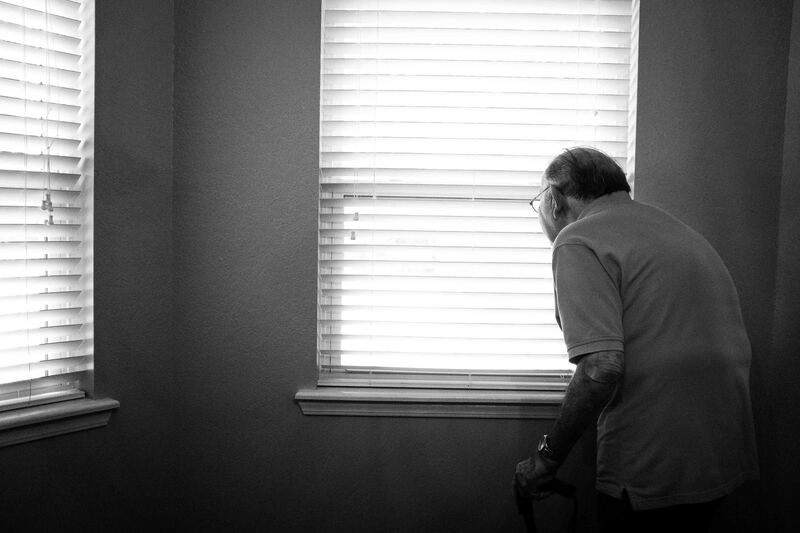 The Federal Emergency Management Agency (FEMA), who had helped provide shelter for millions of survivors of Hurricanes Harvey, Irma, and Maria as well as the California wildfires, has failed to protect the personal and confidential information of these disaster survivors. Information exposed includes street addresses and banking information. 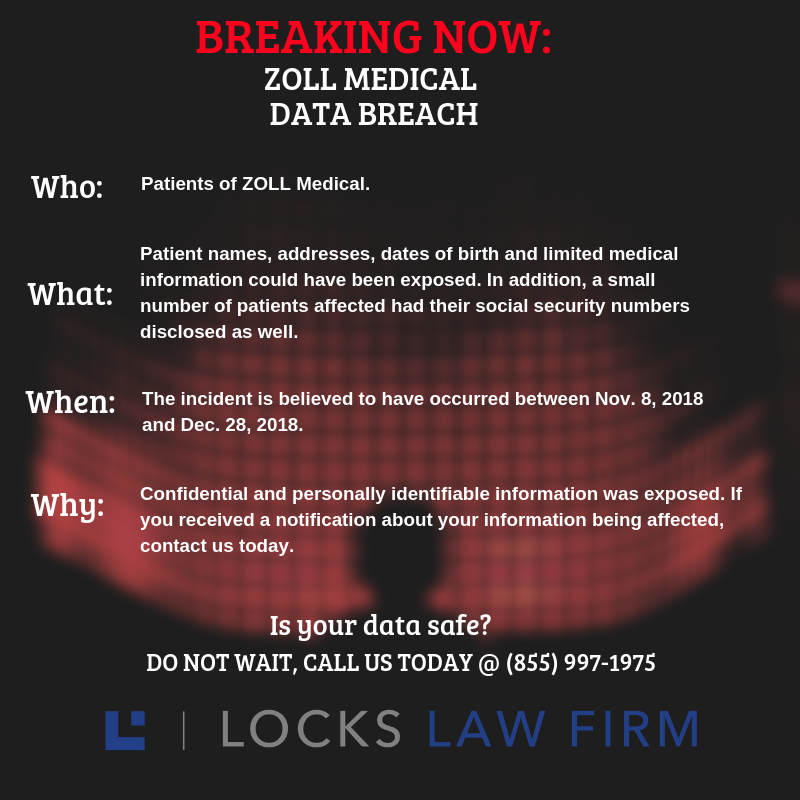 ZOLL Medical reported Monday that the personal information of over 275,000 patients were exposed during a recent server migration, the medical device maker said. In recognition of Women’s History Month 2019, and in recognition that last February was celebrated as Black History Month I have chosen to highlight the life and career of a legal trailblazer who, outside of limited circles is virtually unknown to most Americans. 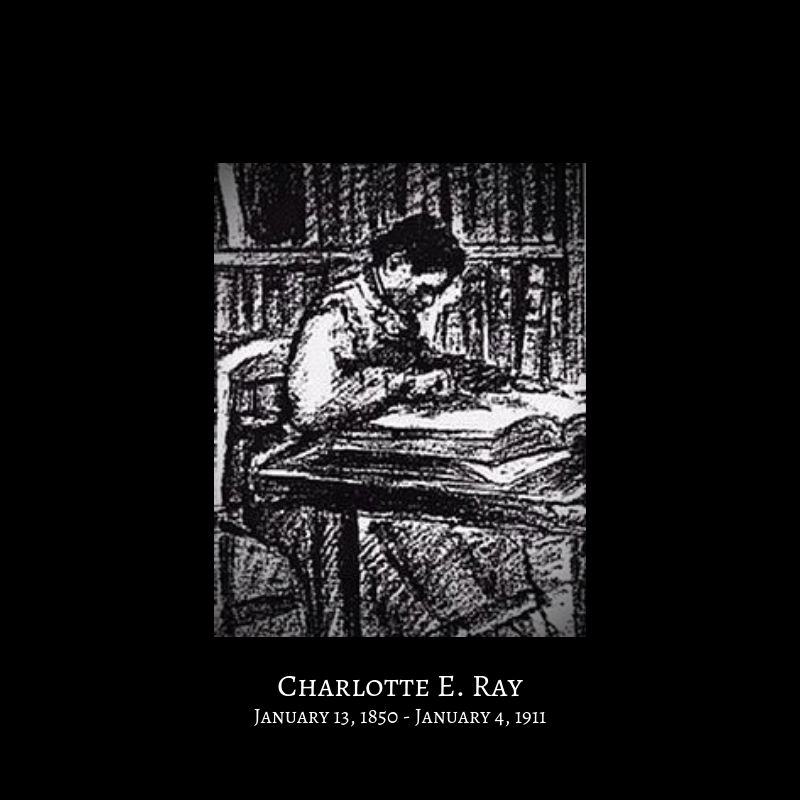 Charlotte E. Ray was America’s first black female lawyer. She was also the first woman to be admitted to practice before the to the District of Columbia Bar, and the first woman admitted to practice before the Supreme Court of the District of Columbia. Attorney Ray’s admission to practice was seen for the precedent it was, as women who came after her used her example in seeking admission to practice as attorneys.